PSP2 and Xbox 360 Slim pegged for 2010 release? LinkedIn profiles re-ignite PSP2 rumours - will it be at E3? Will the PSPgo be the last iteration of the current PSP? 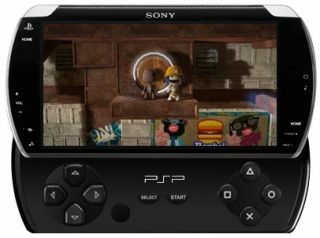 Will Sony announce the successor to the PSP handheld console at E3 2010? Will the much-rumoured Xbox 360 'slim' see a commercial release later this year in time for Christmas? These are the two questions many gamers are now asking, with rumours of an imminent 'PSP2' launch re-ignited this week by mention of the device in a number of developers' LinkedIn profiles and speculation about a smaller Xbox 360 following reports of a slimmed-down motherboard combining the CPU and GPU for such a system. Richard Allen on PlayStationLifestyle.net notes that, while it is clear that Sony is readying a next-gen PSP successor and nothing official has been announced, "what we do know is a couple of LinkedIn profiles clearly list the PSP2 in their experience and summaries." "AtomFire Productions undertakes games and interactive entertainment projects for high-end web, DS and DSi, Wii, PSP, PSP2, PlayStation Network, Xbox LIVE Arcade, WiiWare, iPhone and Windows." And Hilke Muslim, Coordinator at "Frumusete pe muchie de cutit", ProTV located in Romania, who lists in her summary: "casting assistant: Sony PSP2." Though she doesn't say what the casting is for, whether it be games, advertising or something else. Interesting stuff for sure. But whether or not these personal LinkenIn profile updates mentioning PSP2 mean that Sony is closer to making an official announcement at E3 is yet to be revealed. "While 3D games remain on the drawing board and not yet on store shelves, the emergence of new 3D game platforms could breathe more life into the hardware market," he said. "Along with the launch later this year of new motion sensing controllers for the PS3 and Xbox, there are several multiple growth drivers for the industry over the coming one-to-two years with new physical products. "We expect Sony to announce a new PSP handheld device this spring, and Nintendo is likely to announce an updated console in the coming year, which could also help to reinvigorate the market." Added to these rumours of a PSP2 set to soon be announced to counter Nintendo's own 3DS handheld, there are also persistent rumours of Microsoft releasing a redesigned Xbox 360 Slim, integrating Natal, later in 2010.